Hanover, Md. (June 28, 2016) – Are you looking for love? Single ladies and gentlemen of the Baltimore region are invited to participate in an exclusive casting call for the hit ABC show “The Bachelor” on Thursday, July 6, 2017 at Live! Casino & Hotel. From 5 – 9 p.m., show producers will be on hand during the ABC2 Bachelor Casting Call party at LIVE! Center Stage to interview potential candidates to represent Baltimore in upcoming episodes. Both men and women are invited to the casting call as the producers search for the next Bachelor and his selection of Bachelorettes. Admission is free. Interested candidates are encouraged to bring a completed application and pictures. 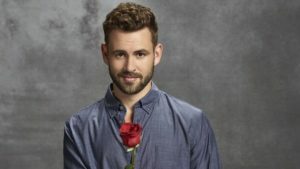 Visit http://thebachelor.warnerbros.com/casting to download and print the application in advance. Hosted by veteran TV personality Chris Harrison, “The Bachelor,” which debuted in 2002 on ABC, is one of the most popular reality dating shows of all time. The series revolves around a single Bachelor looking for love among 15-20 eligible single women. Over the course of the season, the Bachelor dates the Bachelorettes, including visits with families and vacations in tropical paradises, eliminating those until he finds his potential wife. “The Bachelor” airs locally on WMAR ABC 2.